It is our final book club meeting of the year tonight. 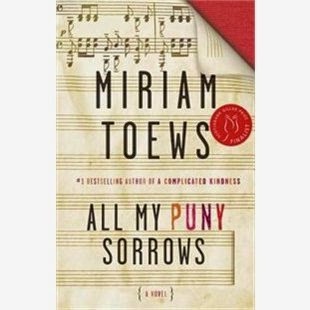 We read All my Puny Sorrows by Miriam Toews. This was by far my favourite book of the year. It is exactly the type of literary book that I like. It takes place in Canada, the description of the characters and plot is done gradually and is not told to you in an obvious way, the transitions between past and present are seamless, and it is dotted with beautiful passages that make your heart ache for their melancholy and meaning. The story is sad as it deals with mental health and suicide, but it has so many lovely and real moments that the sadness does not feel gratuitous. The story is semi-autobiographical so don't go on Wikipedia to read Miriam's bio before you read the book (like I did), or you will spoil the story. We are hearing more about mental health in recent years, but there are still so many nuances to learn about. This will make you look at depression and anxiety in a different way, both from the perspective of the person suffering and from their family members. It is a short read and easy to get through. Pick it up and read it. It was a finalist for the Giller Prize (last year I think) and those are usually good reads. Other Giller Prize finalists and winners that I have enjoyed are: The Bishop's Man, Half Blood Blues, The Disappeared, Late Nights on Air, Fall on your Knees, and The Way the Crow Flies. Next week I will share our reading list for 2016.